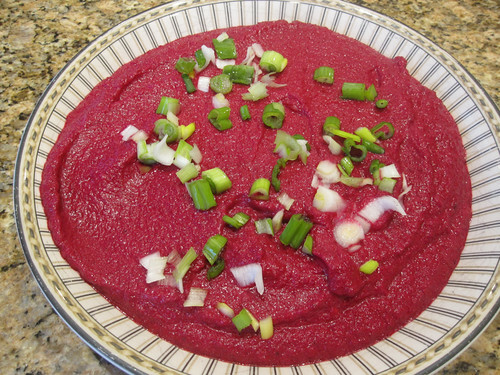 Roasting the beets warms up your cold kitchen and keeps you cozy as you eat this beet dip. It’s a definite winner,This recipe comes from Food and Wine’s September, 2012 issue. 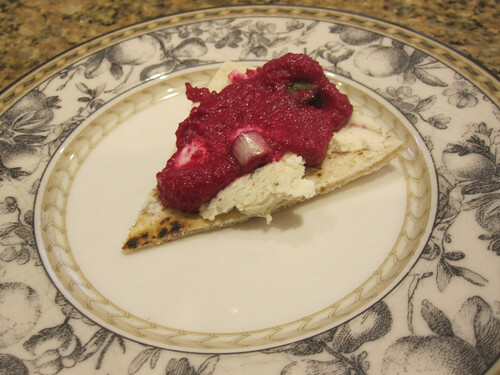 It has the winning combination of beets and goat cheese, and a spicy kick as well. Just look at the colour!! I didn’t sprinkle the goat cheese on top, I spread it on pita then dolloped the beet spread.